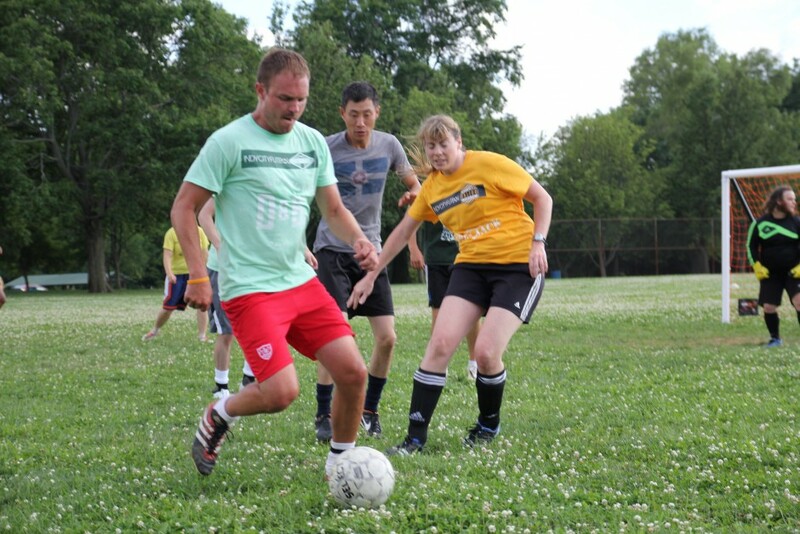 Indy City Futbol brings Indianapolis neighbors together to play soccer with other neighborhood teams, helping develop new friendships, build a stronger sense of community, strengthen neighborhood identities, and encourage people to be more physically active. The league was inspired by Detroit City Futbol, a program Big Car CEO Jim Walker learned about during a CEOs for Cities conference in Detroit. Big Car’s version of this low-cost, no-profit league launched with advice from the league in Detroit and in partnership with Indy Eleven (our local pro team), which is co-ed and encourages players to enjoy each other and embrace community, sustainability, and volunteerism more than competitiveness. European football-style crests for each team created by Indianapolis designer Ross Shafer adorn the players’ shirts at each competition, solidifying the neighborhood focus of each team. But this isn’t just another recreational league. Teams are recognized for wins and losses, but they also earn additional standings points by volunteering together around the city’s neighborhoods, and by commuting together, biking or walking to games. 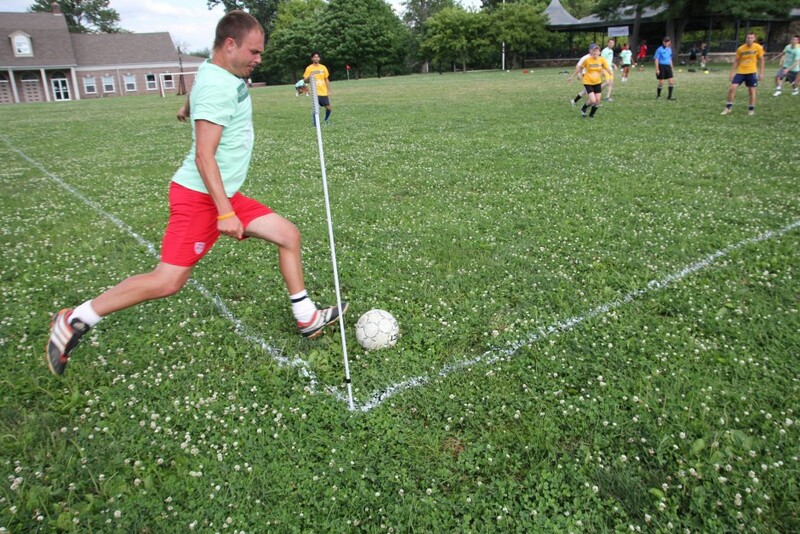 In 2014, play happened in the underutilized fields at Garfield Park and White River State Park. In 2015, the league moved to the Near Eastside area and played at Arsenal Tech High School. 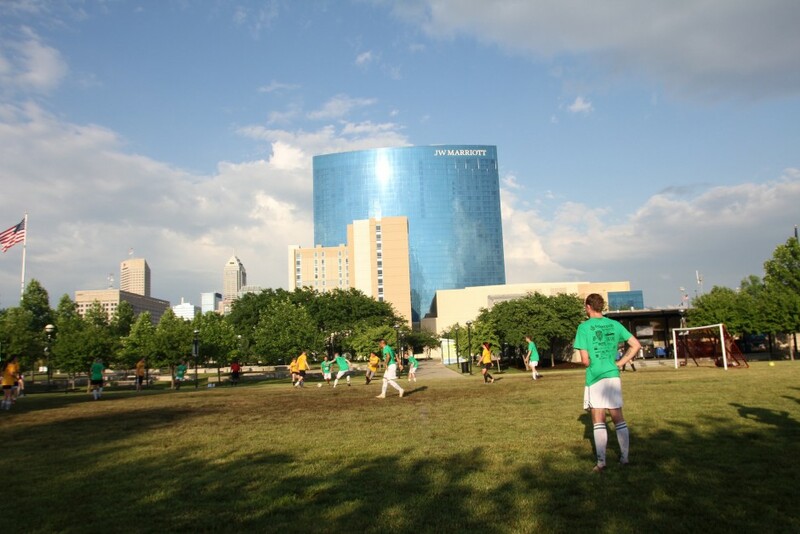 In 2016, the League moved to Central Greens (formerly Central State) in the up-and-coming Near Westside area and announced with Holliday Properties and Indy Parks a three year commitment and the donation of six U-10 goals to the location. To learn more about the league, visit www.indycityfutbol.com. See images and video clips of past seasons, check them out here.